Jeddah (Saudi Arabia) (AFP) - Nobody gave Ahmed al-Dainiy a second glance Thursday as he walked among the youthful crowd on the opening day of Saudi Arabia's first Comic-Con event, wearing a horse head mask. Dainiy, 18, was among thousands of people who filled a recreation centre in the Red Sea city of Jeddah for the international pop culture event which is helping to break stereotypes about the Islamic kingdom. The three-day festival of anime, pop art, video gaming and film-related events is part of a government initiative to bring more entertainment to Saudi Arabia which bans alcohol, public cinemas and theatre. Unrelated men and women are normally segregated in Saudi Arabia, where restaurants have separate sections for "single" men and families. Comic-Con had different male and female entrances but inside the darkened hall, where conversation was drowned out by rock music, there was barely room to move, and men and women were side-by-side. The line to enter stretched for more than 100 metres (yards) when the event opened in mid-afternoon. Some young men were dressed in the costumes of their favourite Japanese anime characters but most wore Western clothes. A thobe, the traditional long white Saudi robe, was a rare sight. "You're free here," said Dainiy. "You are yourself." He said he wore the horse head because it is a character on the channel he operates on YouTube, one of the many popular Internet platforms where Saudis live much of their lives to escape from the strictures of a rigid society. Reyad Ateyah, 22, arrived with the orange hair of anime character Ichigo Kurosaki and said he welcomed the recognition of this sub-culture. "It's given us a chance, people like us who like cosplays and anime and comics, and movies," he said through a white mask with oversized teeth and red stripes. In contrast, most women at the event wore traditional black robes and head covers. But Mwadah Abdul Aziz, 23, and her colleagues manning a booth, added something new: a cute woollen cap in the shape of a bear. The team were selling Japanese-style drawings on notebooks and other items that also incorporate Arabic writing. "Many people in Saudi Arabia like Japanese culture so much, and Korean culture," Abdul Aziz said, calling it "amazing" that Comic-Con is taking place in her country. 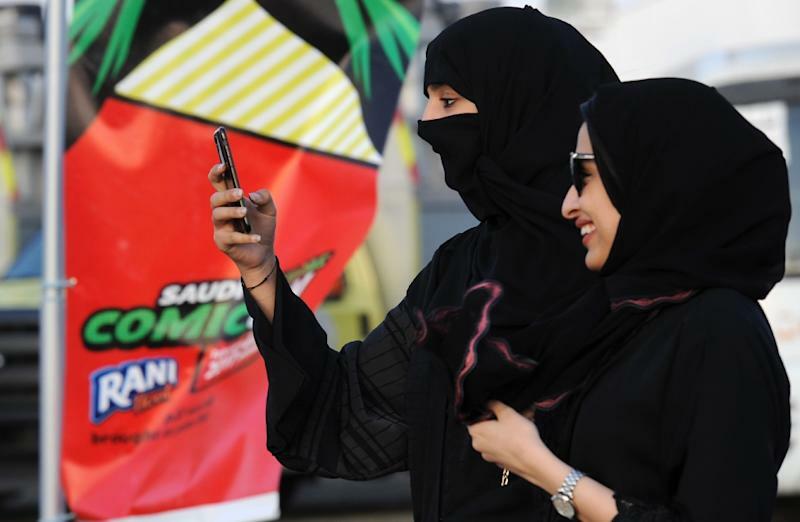 "Saudi Arabia now is opening," the smiling young woman said. Comic-Con began in 1970 as a convention of a few dozen geeks who swapped superhero magazines in the United States. The event has grown in size and spread around the world, including to Saudi Arabia's Gulf neighbour Dubai. 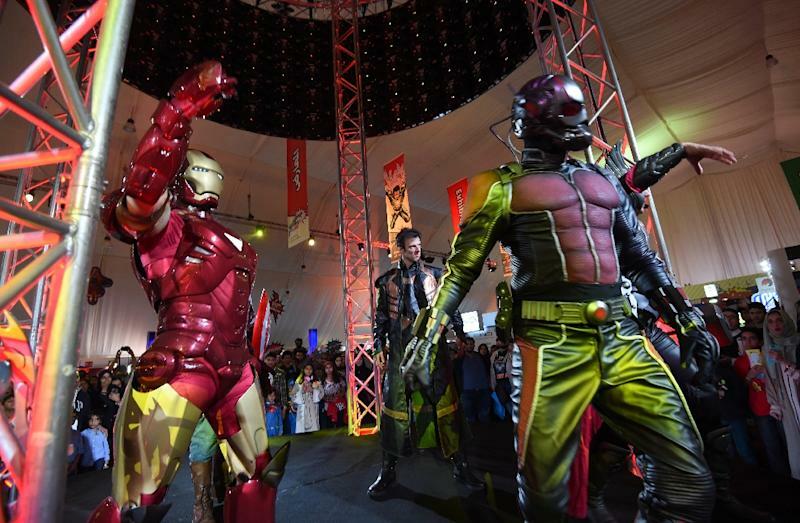 Iron Man, Captain America and other members of the Avengers, from Hollywood's Marvel studio, took to the Comic-Con stage in Jeddah, which is considered a more liberal city than the capital Riyadh. "Raise your hand if you are bad," one of the Avengers asked the audience, provoking enthusiastic hoots. 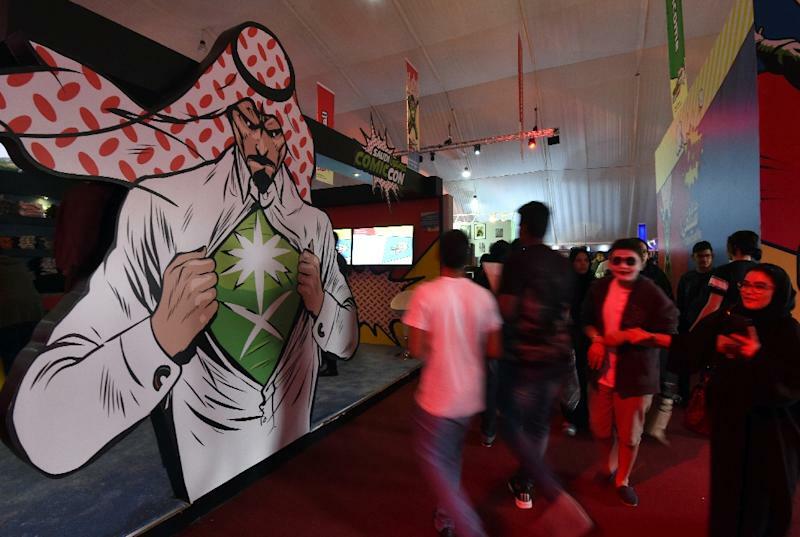 The government's General Entertainment Authority has said it supports the event, organised by Saudi firm Time Entertainment, because of Comic-Con's "strong family appeal." Providing more entertainment is one of the goals of Saudi Arabia's Vision 2030 economic diversification plan being pushed by the kingdom's Deputy Crown Prince Mohammed bin Salman, 31. He is keen to harness the energy of a population more than half of which is under 25. But authorities are moving cautiously in a country where Muslim conservatives are wary of Western entertainment. Last month, the kingdom's highest-ranking cleric, Grand Mufti Abdulaziz al-Sheikh, warned of the "depravity" of cinemas and music concerts. Sixty or seventy percent of the population might agree with him, said Ahmed Ateah, 29, a movie buff who attended Comic-Con in a Japanese robe that exposed his chest. A fake slash mark over his left eye and swords at his side completed his appearance as the anime character Raronoa Zoro. "But I'm really glad that we're starting to have these activities," he said.